Except for Indian, Bangladeshi and Maldivian nationals, all visitors to Bhutan require a visa. All visas are issued from Thimphu, and visas are issued only to tourists booked with a licensed local tour operator directly or through a foreign travel agent. Visas are issued only when you arrive in the country, either at Paro Airport or (if entering by road) at Phuentsholing, Gelephu or Samdrup Jongkhar. 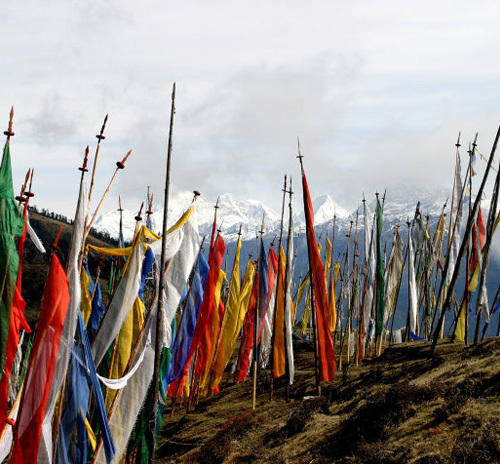 Window to Bhutan shall apply for visa on your behalf, and get the visa clearance for you. Remember that visa clearance takes a minimum of 10 days and that air tickets to Bhutan cannot be purchased without visa clearance. To enable us to process your visa on time, your visa application must reach us at least 60 days before the date of your travel. You must fax us your passport details. The immigration department will then issue a visa authorization letter to enable you to board the Druk Air flight to Bhutan. The actual visa will be issued and stamped in your passport when you arrive at one of the four ports of entry for a fee of US$ 20. Visas are issued for a 15-day period; extensions can be obtained in Thimphu at a cost of Nu 510. Don’t forget to carry at least two passport size pictures. As travel to Bhutan almost invariably requires at least one flight change in India, Nepal, or Thailand, ensure that you can meet the visa requirements of those countries before departing on your journey. Nepal and Thailand offer visa on arrival or visa waiver for many nationalities. India generally requires visa procedures to be completed before arrival, and this can take up to two weeks. Indian visitors are issued a 14-day permit upon arrival in Bhutan. No passport or visa is required, but some form of identification such as a passport or voter’s registration card is necessary. Visitors must carry about six passport size photos for the permit.